A self made person a Capricorn, Faris Javed, was born on 27 Dec 1979, in Jadda, Saudi Arabia .A simple man with a simple personality. He is hardworking, passionate, shrewd, practical, responsible, and cautious to the extreme and capable of persisting for as long as it is necessary to accomplish a goal he has set for himself. 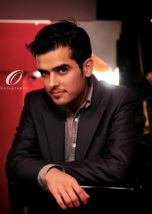 Faris Javed is the initiator and the real backbone of Faris-Haris Productions. He started his music career thirteen years back in 1999. He took piano classes from a well known musician “Ustad Tauqeer” for almost three years to polish his music skills and boost up his interest, Afterwards he started teaching music to young students. 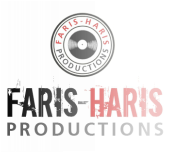 Currently he is successfully running his Production house with the name Faris-Haris Productions along with his younger brother Haris. They both have completed various projects till date. Faris himself is a multi-talented person working from Music Videos to editing, sound design to idea creation, lyric writing to mixing and mastering. His generated projects have been on-aired on all mainstream music channels such as AGG, Play TV, Oxygen, ARY Musik and 8xm etc. He also introduced his own band named Fari N Hari and has launched their debut song “Sathi Rey” in 2012. Faris has worked with various international artists such as” King Onwa” from Nigeria and “Hazam Fla Boy” from Sudan. All in all, Faris is surely taking his music and video production career a long way with his passion, talent and hard work. A talented young Pisces, Haris Javed was born in February 21, 1987 in Lahore, Pakistan. An ambitious and determined personality chasing to reach his goals. A person who is blessed with excellent vocals, he doesn’t belong to any musical background nor he took any special training of music but his voice is definitely a God gift to him. He completed his early education from Cathedral High Secondary School, Lahore, Then he did his graduation and Masters degree from Superior University, Lahore where he was famous and known for his mesmerizing and soulful voice and he also performed at different events of the university and took part in various singing competitions and got the award for best singer as well, these were the elements which encouraged him and boost his talent up, then for his further studies he got admission in Anglia Ruskin University (United Kingdom) in 2010 where along with his studies he took part in a talent competition of his university and stood winner of “LCA factor 2012” he also had the opportunity to perform at the PQ magazine Awards in London. After coming back to the homeland he started contributing to his production house (FH) Faris-Haris productions along with his elder brother Faris Javed and introduced their band named “Fari & Hari” and released their debut song “Sathi Rey” in 2012 which have been on-aired on all mainstream music channels like Aag TV, ARY Music, Play TV etc and was highly admired by his fans. In a nutshell Haris is pursuing his career in singing and video production, and determined to amaze the world with his talent. He is looking forward to touch the heights of success in music career through hard work, passion and dedication INSHA-ALLAH!